It’s practically a part of Filipino tradition that you bring home a boxfull of pasalubongs (souvenir/gift) after a trip. 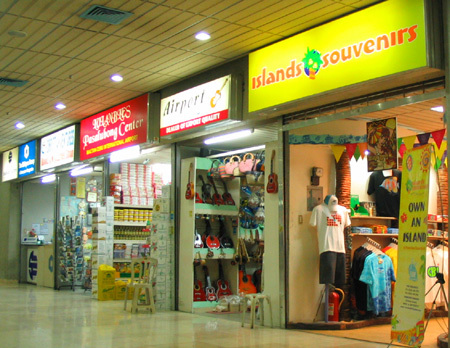 Inside the Mactan International Airport, souvenir shops like these line both the check-in and boarding area. More than a dozen souvenir shops and not one Internet Cafe. Hmph.